The Mate X was unveiled at Mobile World Congress (MWC) 2019 in Barcelona, earlier this year. 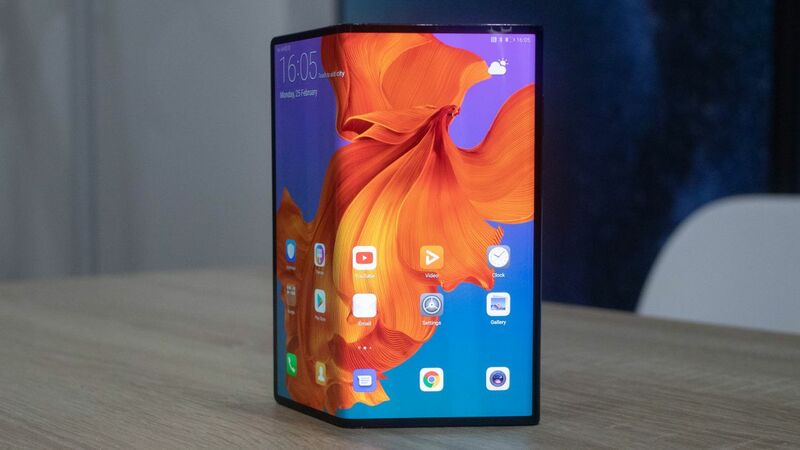 Unlike Samsung, Huawei is letting people hold their foldable phone but there’s a catch. At a closed-door hands-on session held in New Delhi recently, journalists were not allowed to fold the Mate X as it was a preliminary build. Huawei Mate X features a 6.6-inch AMOLED panel which extends to an 8-inch display when unfolded. It measures 5.4mm when unfolded and 11mm when folded. The phone is powered by Kirin 980 chipset which is manufactured on a 7nm architecture process. It has an octa-core CPU and is backed by 8GB of RAM and 512GB of storage. The Mate X runs Android 9.0 Pie under the company’s EMUI 9.1 skin. There are three rear cameras on the back which consist of a primary 40MP wide-angle camera with an aperture of f/1.8, 16MP, 17mm ultra-wide camera and an 8MP telephoto lens. In addition, there’s a Time of Flight sensor on the back as well which will assist in depth-sensing. Like the phones in Mate series, this one also has its cameras optimized by Leica. A fingerprint sensor is embedded into the power button on the side and the Mate X is powered by a 4,500mAh battery. It supports 55W fast charging and Huawei’s proprietary SuperCharge which enables 85% charge in 30 minutes. The phone will launch at a price of 2,299 Euros, which roughly translates to around 1,79,900 INR. Due to the steep pricing of the Mate X, we’re not sure if it will attract many buyers in a price-volatile market like India. Samsung has also confirmed that it will be bringing its Galaxy Fold to the Indian market in 2019 but without 5G support.